Presales are sold out! There will be a limited amount of tickets at the door. 6 years ago in the unlikely location of an upstairs warehouse turned boxing ring, a tradition began. That tradition is one family, love, music, and celebration. From that humble origin, Nexus has evolved into an event that incorporates the best in music, art, and expression that Los Angeles has to offer. 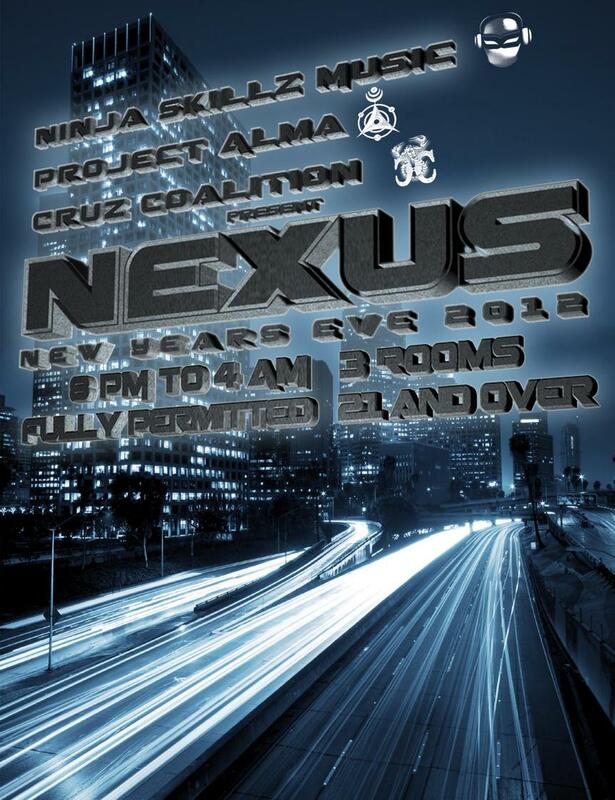 This year, the tradition continues as Ninja Skillz Music, Project Alma, and The Cruz Coalition team up to bring you one of the most exciting evewolnts that we have ever put together. Those of you who remember the Nexus location from 2 years ago know exactly what we are talking about. Fully permitted till 4am, full bar, an amazing lineup, and YOU. Because lets face it, YOU are the ones that make this a tradition. So join us once again as we cast out the old and welcome the new with the open heart that makes our community great and with the love that makes Nexus a tradition.